Americans expect presidential candidates to be transparent when it comes to disclosing tax returns from years’ past. However, the expectation that candidates will be forthcoming with their personal financial information is a fairly recent phenomenon. Individual income tax returns–including those of politicians running for office–are part of Americans’ right to privacy under federal law. U.S. presidents and presidential candidates, like all U.S. citizens, enjoy this protection of their privacy. 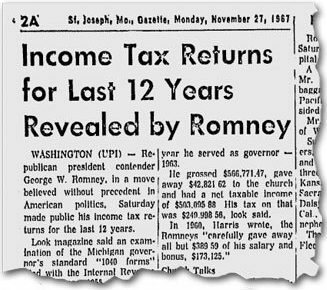 The custom of having presidential candidates disclose their tax returns began in 1968, when George Romney (the father of Mitt Romney) made his tax returns available to the public while preparing his campaign to run against Richard Nixon and Lyndon Johnson. Although presidential candidates are not required to publicize their personal financial history, disclosing this information allows Americans to vet the people who run for office–those who are to govern them. Since George Romney’s show of financial transparency in the 1968 presidential election and beginning on a consistent basis in the early 1970s, nearly all presidential candidates have chosen to release their returns publicly. Donald Trump’s contradictory claims about his personal wealth and his reluctance to disclose information about his personal finances have been the source of much controversy in the 2016 election. Since Richard Nixon, every major party nominee to run for president has publicized their tax return history before election day. Whether or not Donald Trump will break with tradition remains to be seen. In the meantime, as we wait for Donald Trump to show his cards, I’ve compiled a timeline which explores the history of presidential candidates disclosing their tax returns. Below, I’ve emphasized when candidates’ desire for financial privacy was controversial. Richard Nixon does not release his tax returns. George Romney releases 12 years of tax returns. Richard Nixon refuses to release his tax returns…again. The Internal Revenue Service orders President Nixon to pay more than $400,000 in back taxes for making improper deductions. Gerald Ford becomes president after Richard Nixon resigns amid the Watergate scandal. Though President Ford does not release his tax returns in their entirety, he releases a summation–not an itemized breakdown–of his returns from 1966 – 1974. The Ethics in Government Act of 1978 is passed. The Act requires all presidential and vice presidential candidates to file a Public Financial Disclosure Report with the Federal Election Commission. The jointly-filed tax return of Vice-Presidential nominee Sarah Palin and her husband Todd lists $151,556 in household income, of which $107,987 was earned by Sarah. 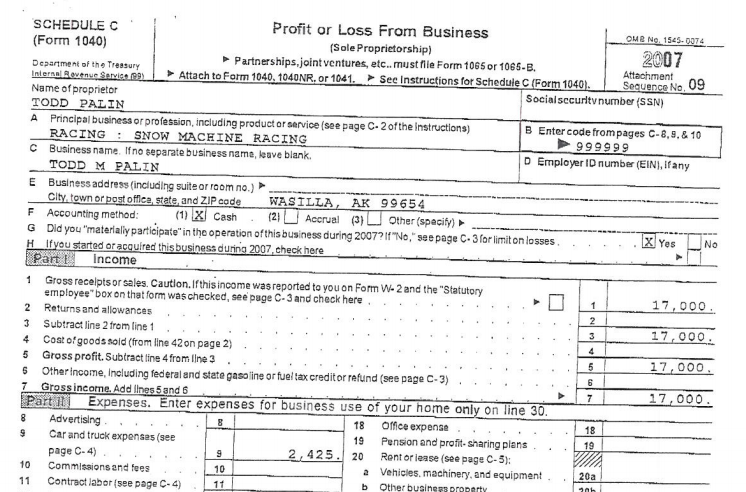 Todd Palin incurred $9,639 in losses from “Snow Machine Racing,” according to the document. The Tax History Project maintains an online archive of presidents’ and presidential candidates’ tax returns. 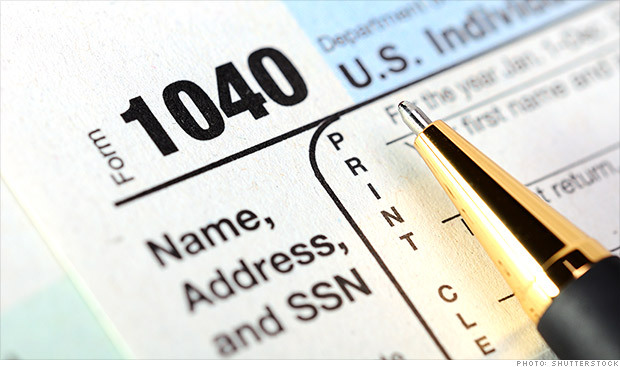 The digital archive contains federal tax returns filed by every U.S. President since Franklin D. Roosevelt.